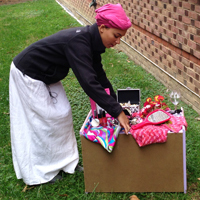 Students in an Africana studies course this fall explored black expressive culture. 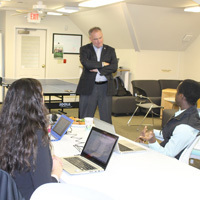 The U.S. senator met on Dec. 5 with faculty, staff and students to discuss their research initiatives. 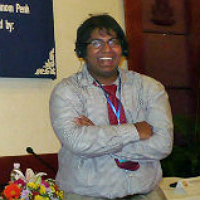 Akshay Deverakonda '15 sought new challenges in a semester at the National University of Singapore. 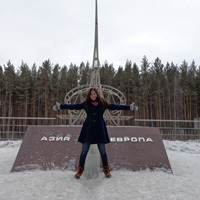 Students heading out for spring semester abroad got a thorough briefing from staff and students about what they needed to know before departing. 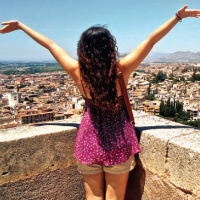 W&M has the highest percentage of undergraduates participating in study abroad programs of any public university in the United States. 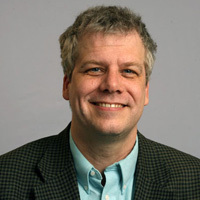 In his latest book, "The Cosmopolitan First Amendment: Protecting Transborder Expressive and Religious Liberties," Professor Timothy Zick invites readers to examine the First Amendment not in domestic places like public parks and streets, but at and beyond America's territorial borders. 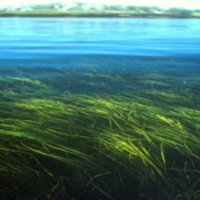 A William & Mary archaeologist has been studying 1,000 years of the islanders’ methods of coping with life amid some rapidly changing ecosystems atop geologically unstable islands. 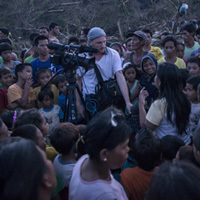 AP video journalist Dalton Bennett '09 recently received the Baxter-Ward Fellowship, which recognizes alumni of the government department who have distinguished themselves in their field of endeavor. 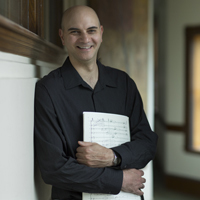 Emmy-nominated composer Kareem Rouston is one of this year's Maurine Stuart Dulin Class of 1939 Artists-in-Residence. 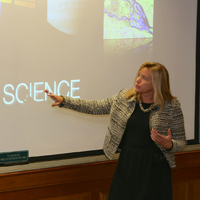 NASA chief scientist Ellen Stofan '83 opened the Reves Center's final 25th anniversary celebration with an in-depth look at how the world contributes to -- and benefits from -- coordinated space exploration. William & Mary is sending students out into the world, and welcoming foreign students into ours, in ever-increasing numbers. 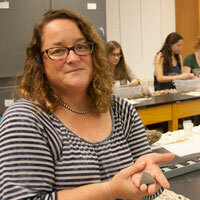 Two lectures and a documentary commemorating the Center's 25th anniversary are scheduled for Oct. 2 and 3. 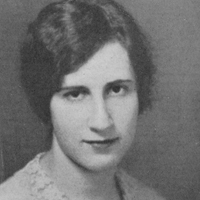 William & Mary has received a $3.1 million gift from the estate of alumna Ruth Stern Hilborn '28, who passed away last year at the age of 105. 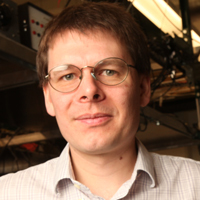 Seth Aubin, associate professor of physics at William & Mary, has been selected as a Fulbright Scholar for the 2014-15 academic year by Fulbright Canada. Brianna Buch '15 shares her experience as an intern for the Young African Leaders Initiative Washington Fellowship. Young African Leaders Initiative fellows spent six weeks studying at Presidential Precinct members W&M, University of Virginia, Thomas Jefferson's Monticello, James Madison's Montpelier, James Monroe's Ash Lawn-Highland and Morven. 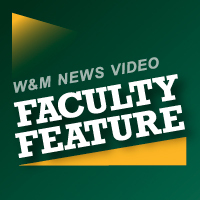 The staff at the William & Mary Alumni Association will be joining forces with development and other College staff to create a new University Advancement organization. 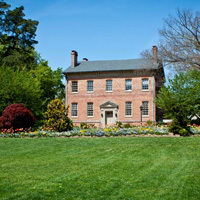 The Andrew W. Mellon Foundation has awarded William & Mary a $900,000 grant to support implementation of the university’s new College (COLL) Curriculum. Eight William & Mary undergraduates are engaged in a unique new research program led by VIMS that combines classroom experience with summer internships across the globe. 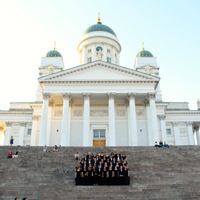 The William & Mary Choir and Botetourt Chamber Singers traveled through Lithuania, Latvia, Estonia and Finland May 13-27, performing American music as well as a piece commissioned just for them. 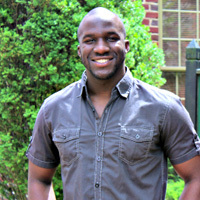 Starting mid-July, 25 young African leaders will spend the last two weeks of a six-week leadership and mentoring program at William & Mary, then meet with President Obama. 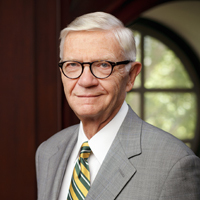 The following is a statement by William & Mary President Taylor Reveley on Mitchell B. Reiss being named president and CEO of the Colonial Williamsburg Foundation. 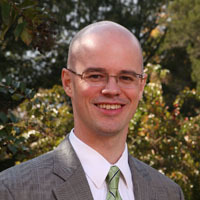 Henry Broaddus, longtime dean of admission at William & Mary and the current associate provost for enrollment, has been named the university's vice president for strategic initiatives. A survey of 950 international relations (IR) scholars at U.S. universities finds that IR scholars oppose sending military assistance to Ukraine. In honor of Asian-Pacific American Heritage Month, Swem Library’s archivists recently explored the university archives to discover stories of the earliest known Asian and Asian American students and faculty at William & Mary. 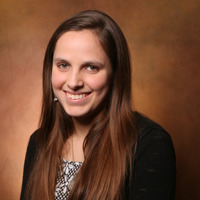 Qian (Lindsey) Ling, a member of the LL.M. 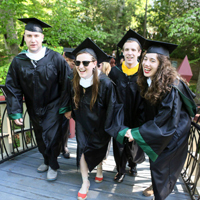 Class of 2014, provided words of welcome at William & Mary Law School's Diploma Ceremony on May 11, held under sunny skies at Lake Matoaka Amphitheatre in Williamsburg, Virginia. 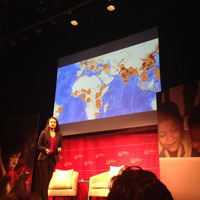 AidData and the African Development Bank launched an interactive platform to help track development aid in Africa. 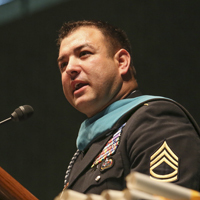 You don’t have to be nationally recognized or wear a uniform to be a hero to someone, Medal of Honor recipient Leroy Petry told William & Mary's Class of 2014 on Sunday. 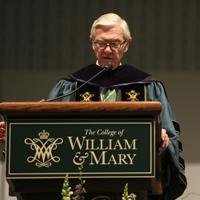 Reveley addressed the Commencement audience at William & Mary Hall on Sunday, May 11, 2014. A 2011 Medal of Honor recipient, he offered the Commencement speech to the Class of 2014 moments after receiving an honorary degree, Doctor of Public Service. 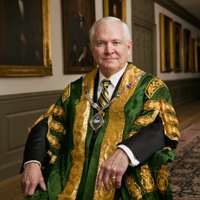 Longtime broadcast journalist Bob Schieffer is returning to the university this weekend to interview W&M Chancellor and former Secretary of Defense Robert M. Gates '65 for "Face the Nation." 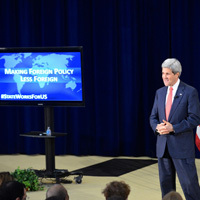 The research fellows identified emerging international security challenges and developed original policy suggestions. The first comprehensive assessment of education's role in America's global competence in 20 years was hosted by the Reves Center and the Coalition for International Education. 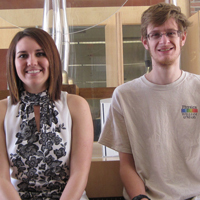 Two William & Mary undergraduates will spend the summer conducting research at the laboratories of CERN, the European Organization for Nuclear Research near Geneva, Switzerland. 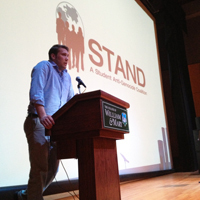 The W&M chapter of STAND, along with Africana Studies and IPAX, hosted a day to remember Rwanda and to work against genocide in the rest of the world. William & Mary law students had a chance to learn about constitutions from two of the pre-eminent jurists of our time - - Justice Anthony M. Kennedy of the U.S. Supreme Court and the Honorable Richard Goldstone, a former justice of South Africa's Constitutional Court. 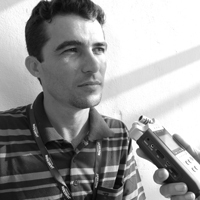 Carlos Rodríguez, a filmmaker with Television Serrana, is serving this year as the Swem Library Media Artist in Residence. 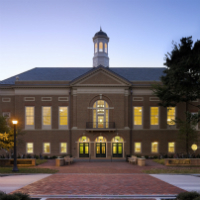 William & Mary's Mason School of Business is partnering with the Peace Corps to launch the Paul D. Coverdell Fellows Program at the university. 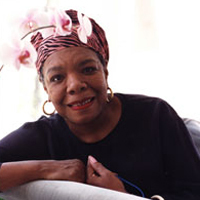 Due to an illness, Maya Angelou has canceled next week’s speaking engagement at William & Mary. 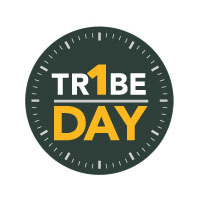 William & Mary’s Project for International Peace and Security (PIPS) will hold its annual symposium at the Carnegie Endowment for International Peace on Wednesday, April 16 at 6:30 p.m.
Tribe4Tomorrow will play a prominent role on Thursday when William & Mary hosts One Tribe One Day, a 24-hour giving challenge, to celebrate the wide-ranging impact of private support and to encourage philanthropy among all members of the university community. 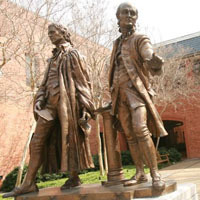 William & Mary has some of the smartest professors in the nation, according to a report published by USA Today this weekend. 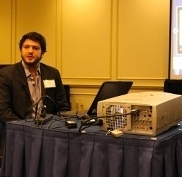 W&M AidData is one of 32 cornerstone partners on science- and technology-based approach to development. 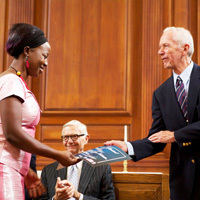 In 2014, 24 students - the most the Law School has ever had in its international summer internship program - will build their skills and help advance the rule of law through their work in 15 countries. Former Justice Albie Sachs considers himself the most privileged man in the world, comparing his opportunities to shape his nation's direction with America's founders. 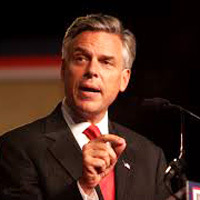 Former presidential candidate Huntsman to deliver one of eight keynote addresses at the April 11-3 conference. 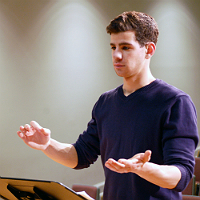 Evan Cunningham ’16, a music and philosophy major, and Shannon Callahan ’16, a participant in the St Andrews William & Mary Joint Degree Programme, have collaborated on a music and dance composition that will be performed during the annual On The Rocks Scottish Student Arts Festival in St Andrews April 4-13. 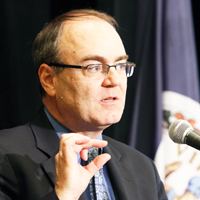 William & Mary's Reves Center for International Studies co-hosted an international conference held jointly in Williamsburg and Washington, D.C.
State Department representative tells students they are essential participants in solving the world's many challenges. A group of 22 officials from the State Oceanic Administration of China visited the Virginia Institute of Marine Science. His Royal Highness Prince Turki Al-Faisal of the Kingdom of Saudi Arabia spoke at W&M about his country’s views of the Middle East. 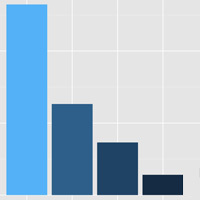 U.S. News and World Report releases 2015 graduate school survey. The foundation has awarded $240,000 for project to study the relationship between theory and practice of international relations. 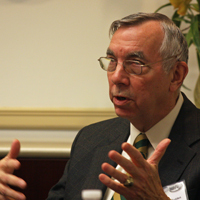 The second Williamsburg-CSIS Forum will be held Mar. 17-19. A survey of more than 900 International Relations (IR) scholars at U.S. universities finds a near consensus on a variety of foreign policy issues. 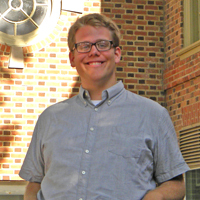 The world is a classroom each summer for a growing number of William & Mary law students. In 2014, 24 students will build their skills and help advance the rule of law through their work in 15 countries. 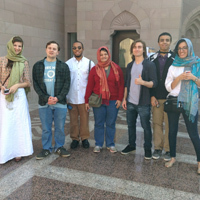 The ensemble traveled to the Sultanate of Oman to learn more about Arab music, work with Omani music students and teachers, and perform three concerts, including one for the U.S. ambassador to Oman. Could this be Michelangelo’s first sketch of Sistine Chapel? 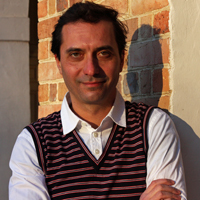 Adriano Marinazzo, scholar-in-residence at the Muscarelle Museum of Art at the College of William & Mary, believes he has found Michelangelo's first sketches showing the architectural structure of the vault of the Sistine Chapel. 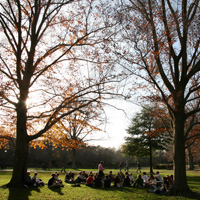 The College of William & Mary has pledged to join the Institute of International Education (IIE)’s Generation Study Abroad initiative to double the number of American students who study abroad by the end of the decade. 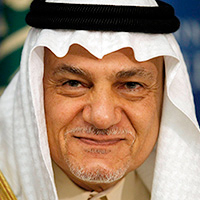 A well-known diplomat and commentator on Middle Eastern affairs, Prince Turki's lecture will address Saudi views on developments in the Middle East, particularly on the civil war in Syria and U.S. relations with Iran. Free and open to the public. The Reves Center for International Studies has announced its 2014 faculty fellows: Paul Bhasin, Jennifer Kahn, Scott McCoy and Jeremy Stoddard. The 2014 Kraemer Scholar-In-Residence will be Haider Ala Hamoudi, associate professor of law and associate dean of research and faculty development at the University of Pittsburgh School of Law. 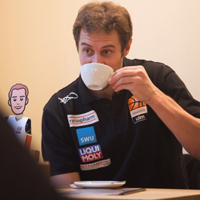 Adam Hess '04 is playing basketball for a German pro team in Ulm and helping a sponsor market one of its beverage products. William & Mary's renowned pianist and piano instructor Anna Kijanowska is gearing up for a concert tour across China that will take place Mar. 1-17. 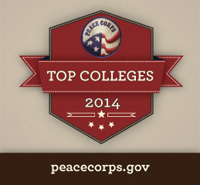 William & Mary continues to be a top producer of Peace Corps volunteers, according to report released today. 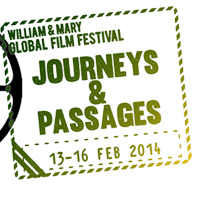 Motion pictures from around the world showcase the dynamics of local, national and global film. 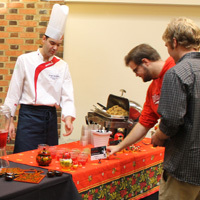 This year's festival also honors W&M's Reves Center for International Studies. 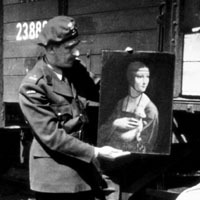 George Clooney's new movie "The Monuments Men" may only be based on a true story, but William & Mary was once home to real-life Monument Man Everett Parker Lesley, Jr.
W&M Chancellor and former U.S. Secretary of Defense Robert M. Gates '65, L.H.D. 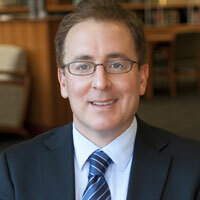 '98 will discuss his new memoir, "Duty: Memoirs of a Secretary at War," at Swem Library on Feb. 8. Sixty professionals from seven interest groups spent a weekend developing research agendas for the coming year. 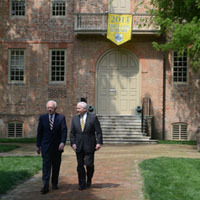 The 2013 President's Report is now available on the William & Mary website. 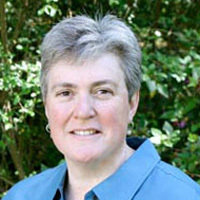 The College of William & Mary and the U.S. Army Training Doctrine Command continue internship and research collaborations. 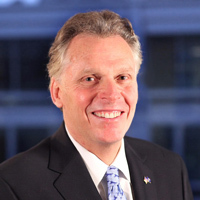 Virginia Governor Terry McAuliffe will serve as the speaker at William & Mary's Charter Day Ceremony at 4 p.m. on Feb. 7 in Kaplan Arena. 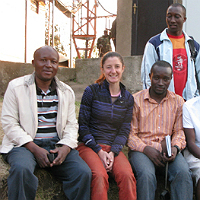 W&M alumna Katherine Potter, who did her honors thesis with Professor Rob Hale at VIMS in 2004, is the principal investigator of the Rwanda Climate Observatory.